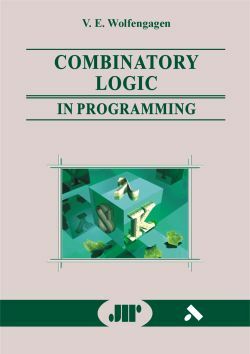 The book is intended for computer science students, programmers and professionals who have already got acquainted with the basic courses and background on discrete mathematics. It may be used as a textbook for graduate course on theoretical computer science. The book introduces a reader to the conceptual framework for thinking about computations with the objects. The several areas of theoretical computer science are covered, including the following: type free and typed lambda-calculus and combinatory logic with applications, evaluation of expressions, computations in a category. The topics, covered in the book accumulated much experience in teaching these subjects in graduate computer science courses. A rich set of examples and exercises, including solutions, has been prepared to stimulate the self studying and to make easier the job of instructor. Wolfengagen V.E. Applicative computing. Its quarks, atoms and molecules. Edited by Dr. L.Yu.Ismailova.